From now until January 1st, every gift you make will be doubled! An anonymous philanthropic partner of the Depression Grand Challenge has generously pledged to match all donations up to $25,000 on a dollar-for-dollar basis. Answer the call to give today and join the Depression Grand Challenge in taking advantage of this match, which will allow STAND to screen additional UCLA students and potentially save even more lives. For students attending UCLA, the #1 public institution in the world, balancing the demands of academic and extra-curricular responsibilities along with self-care can be especially challenging. With the numerous changes and pressures, many UCLA students struggle with depression, anxiety, and in extreme cases, thoughts of suicide. There is a vast need to address these issues, and the UCLA Depression Grand Challenge (DGC) is already on the front lines. In September 2017, UCLA launched the Student Mental Health Screening Initiative. In September 2018, this initiative was rebranded as the Screening and Treatment for Anxiety and Depression (STAND) Program for all students, pledging a commitment to provide treatment for Bruins who were found to be suffering from or at-risk for depression, anxiety, or suicide - all at no cost to the student. Private philanthropy has made a measurable effect on the lives of those struggling with mental health. Early detection and diagnosis is key; that is where you come in. Your gift can make a difference – even save lives – by providing more Bruins with the opportunity to receive immediate access to resources and treatments through the STAND Program. Donations to the STAND program will continue to have direct impact on one student at a time. To date, 4,986 students have registered for the online screening for depression and anxiety through STAND's Mental Health Tracker, which they can access privately on their time, in any location. Of those, almost 800 have enrolled in treatment, either online or in person. One hundred and seventy-three students were identified for suicide risk, and 217 severe depression risks were addressed. Each student received continued risk assessment and treatment from the DGC clinical team. That is relief in real-time that otherwise would not be accessible to UCLA students. Depression is the world’s greatest health problem and one of the biggest challenges of global health in the 21st century. Very few individuals are untouched by depression. With your support, UCLA will continue to shine a light in the darkest of places and create hope for a brighter tomorrow. To learn more about the STAND Program, click here. We must work together to bring depression out of the dark. People who suffer cannot get help if they don’t seek it, and many don’t. The DGC is out to change that. To learn more, please visit grandchallenges.ucla.edu/depression. Meeting this immense challenge requires people to demonstrate generosity of spirit—a willingness to contribute in any way they can. The DGC needs partners who see the value of offering hope and healing to those who need it, people who will think grand and lend a hand in an unprecedented effort to make a major positive breakthrough for humanity. Thank you for being UCLA’s ally in combating mental health stigmas that are often barriers to getting help! Your donation helps support the continued development of the Mental Health Tracker for UCLA students, guiding them to get the help they need. Bruins appreciate your support and your advocacy for the STAND Program. 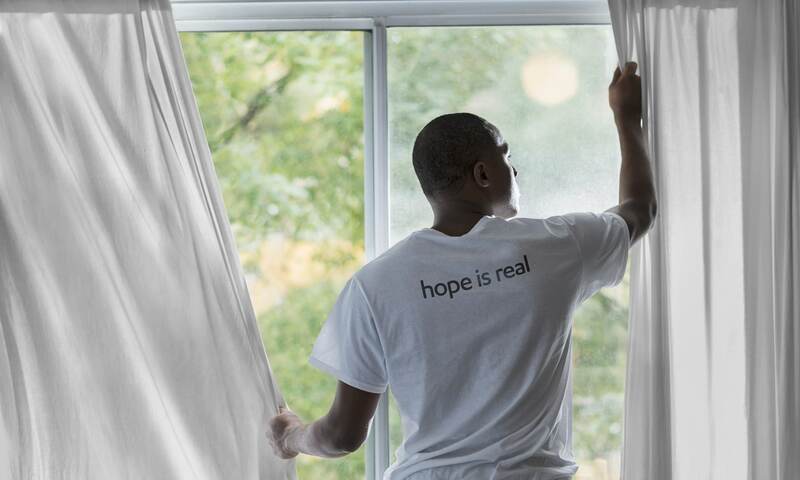 Your gift can be used to fund remote monitoring of students, ensuring that their mental health is tended to whether in their dorms at UCLA or at their homes. You are a friend to those suffering from depression and other issues of mental health. Your contribution can help STAND develop adaptive technology, online resources, and communities that can help researchers identify the signs and symptoms of depression, suicide, and self-injury within the UCLA student body. You are a mental health champion, and UCLA is grateful for your action! Your contribution helps make possible the training of peer resilience counselors, who provide support for their classmates 24/7. Thank you for partnering with the Depression Grand Challenge to provide free access to mental healthcare to UCLA students. Our efforts don't stop here, and with your support, STAND will become a model for other Universities around the world. Thank you for supporting the UCLA STAND program. You are saving lives with your generous donation. Your gift provides resources to continue the STAND efforts, enabling the DGC team to offer innovative treatment programs as well as monitoring for students struggling with depression and anxiety. We are grateful.